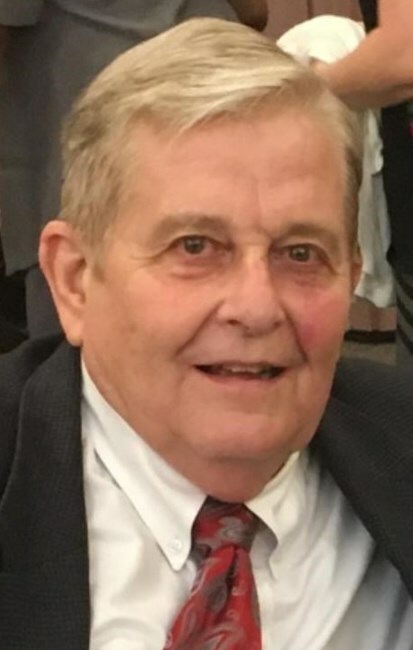 Harold Theodore “Ted” Johnson, Jr., 75, of Tampa, Florida suddenly passed away Thursday, March 28, 2019 while undergoing surgery for a medical condition at Tampa. Ted was born in Meadville, PA May 17th, 1943 the son of Harold Theodore Johnson, Sr. and Mary Isabel Rankin-Johnson. He is survived by brothers Eric F. Johnson (Connie) of Erie, PA and Lance A. Johnson (Diane) of Meadville, PA. He was preceded in death by another brother Jon Blythe Johnson of Meadville. On December 1st, 1979 Ted married the love of his life, Penny. Going forward to become the devoted father of 11 adopted children; Jennifer (Allen), Jessica (Bryan), Audrey, Dana, Reed (Corey), Mary (Tommy), Lily, Gabe, Jeshua, Drew and Tali. While he loved fatherhood, being “Poppy” to his 13 grandchildren was the true joy of his life; Alyssa, Brianna, Cameron, Danielle, Ethan, Mackenzie, Mickaela, Harrison, Larkin, Robbie, Maxx, TJ, Jayden and his two great grandchildren – Liam and Mikaela. Ted was a 1961 graduate of Meadville Area Senior High School. He began his vocational career with the J. H. Nunn furniture store in Meadville. Later moving to Tampa, where he was a talented interior designer and business man. He loved working with his hands and could pretty much fix anything. In his free time he enjoyed searching for old treasures at yard sales, cooking for his family at gatherings, sunset beach picnics with Penny, and collecting antique car models. He loved so many things and people in his life, but nothing fulfilled him more than serving others and his Heavenly Father. His testimony in The Church of Jesus Christ of Latter Day Saints was everything to him. A special memorial service for family members and friends was held at 6:00 p.m. Monday, April 1, 2019 at the Church of Jesus Christ of Latter Day Saints, West Fletcher Avenue, Tampa, Florida.